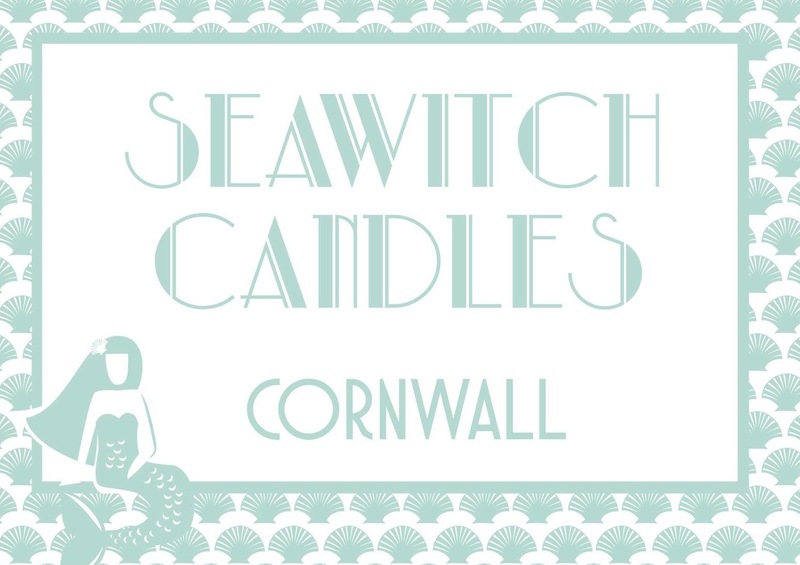 The Seawitch Candles home fragrance range was inspired by the stunning Cornish coastline. All of the 15 coastal themed scents we produce are available in candle jars, tea lights & reed diffusers. You will find each has a distinct fragrance offering something for everyone. We use 100% natural soy wax and high quality fragrance & essential oils. Hand poured into white lidded glass jars and decorated with a seashell collected from our local beach. These candles are double wicked to give an extra comforting glow. It also ensures a clean burn of at least 40 hours with no tunnelling or waste. Made with 100% soy wax, a blend of both fragrance & essential oils and unbleached cotton wicks. We use extra deep cups for our tealights which gives each candle a superior burn time of at least 6 hours. Our scented reed diffusers release a constant beautiful aroma for at least 12 weeks. The elegant glass bottles are filled with a blend of base & fragrance oils and a sprinkling of little seashells. They are presented in white boxes with a bundle of natural reeds. Place your candle in a well ventilated room on a stable, flame retardant surface out of the reach of children or pets and away from flammable items, electricals and heat sources. When you are ready to light your candle for the first time remove the lid and safety leaflet. Do not trim the wicks at this stage. Once lit allow the candle to burn until the melt pool (liquid wax) reaches the sides of the jar. This may take up to 2 hours so be sure you have enough time. Doing this is essential if you wish to prevent tunnelling and help create an even burn through the candles ‘life’. After this initial burn it is vital you keep the wicks trimmed to 5mm before re lighting. Not only will this limit sooting and mushrooming of the wicks, it will also promote a steady and longer burn time. Our candles are made with 100% soy wax , both essential & synthetic fragrance oils and unbleached cotton wicks. In the unlikely event of an allergic reaction please discontinue use. Keep the wax pool free of wick trimmings, matches and debris as this can dirty the candle and is hazardous. Do not blow the flame out, instead replace the lid to extinguish. This prevents the wick falling into the molten wax, any smoking and hot wax splattering. Position your lit candle away from draughts as this will most likely cause a faster burn and a decrease in scent throw. If the flame is not upright or it is smoking, flickering or too high then this is an indication that the candle is not burning properly. It may have been burning for too long (we suggest no more than 3 hours at a time). Or it may be affected by a draught. Extinguish, allow it to reset, trim, check for draughts and relight. Jars can get hot, so leave them to cool before handling. Never under any circumstances leave a burning candle unsupervised. The perfect choice for continuous home fragrance and for those not wishing to monitor a naked flame. Our reed diffusers will scent your room beautifully for at least 12 weeks (depending on temperature and environment). Untie the reeds and insert all of them into the liquid. Turn the reeds 4 times in the first 24 hours and weekly there-after. Do not place over a heat source or in direct sunlight as this will limit the life of your diffuser. Do not light the reeds. Follow the health and safety instructions on the box. Our diffusers are made using synthetic fragrance oils and essential oils. In the unlikely event of an allergic reaction please discontinue use.